Earth Notes: 150 Mistreated NiMH AA Hybrid/LSD Cells: How to use them? Has anyone built a BMS for tens of abused NiMH AA cells to use with solar PV alongside 12V lead-acid? 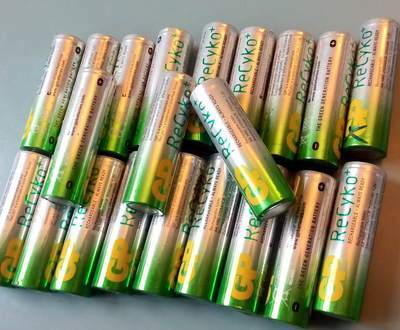 I allowed somewhat more than 150 NiMH hybrid/LSD AA cells (GP ReCyko), nominal 2000mAh (and £1!) each, get run down to well under 1V each due to a bad software bug in some of my embedded systems code late 2016, then let them sit around unattended some months more for good measure! Can they be used or salvaged? In most cases the circuit board being powered cut out at ~1.8V, so many of the cells were at about 0.9V each, probably not too horrible, but some were overdischarged way worse than that. Emprically, some seem to be fine and hold a charge, and some seem to be shot, but it's apparently difficult to tell which is which before trying to use them! If they could be brought back to some sort of life, say 1Ah each ~1Wh, I'd quite like to harness them to make a 100Wh addition to my 12V-nominal solar off-grid system. To do it sensibly seems hard, because I imagine the balancing issues will be horrible. I am envisaging a microcontroller looking after each string, say, and making sure that cells don't get too unbalanced (though maybe it could just tell me to take bad ones out manually). Is there a sane way of doing anything more useful with the cells than recycling them? If your cells are a bit of a mix, I'd full charge them individually, then do a rough capacity measurement on each one (removing and duds), and sort them into matched sets of 10 (12v) as best you can. I'm not sure how well they'll work if you're going to use them as parallel strings when charging off solar though - to fully charge and balance them you may have to do the strings separately, as Nimh like NiCd don't have a rise in voltage when they're fully charged, so one string will take more charge and heat up whilst the others sit there part charged; maybe a microcontroller to monitor the temps of the individual strings and disconnect each string when it starts to heat up?" Having run stuff with a mix of NiCd and NiMH, it really depends on how far down they went. If this is say 0.8V per cell, I'm betting you'll be okay. I've brought back ones from as far down as 0.5 and they are still working. I usually de-rate them to 2/3 full cap. My cells range anywhere from the 325mA up to 2000mA. The higher densities have a harder time bouncing back, but rarely are they completely toast. In my regiment; I charge them aback up to full cap over 15hrs, then put them into a solar light for testing over the next few days. This actually works the batteries backup, the bad ones will not last like the others. A full days charge has my 2000mA units lasting a minimum of 6 hrs. What seems plausible is to make a 'backup' supply to my off-grid Raspberry Pi system in the first instance (using less than 50Wh/day) and then the networking equipment (300Wh/d). The first would be happy with voltages down to maybe 9V and the power is requirement ~1W--2W. For this I could use strings of 10 or 11 AA cells, with the strings being individually monitored rather than the cells, which is do-able. An example end-of-life (EOL), or rather end-of-charge, graph for an OpenTRV REV2 external sensor (4o). This pair of abused AA LSD cells failed after two months when they should last a year or two in this application. See a discharge curve from undamaged cells in an OpenTRV TRV1.5 smart radiator valve with actuators as well as sensors. Fieldlines thread on the topic. 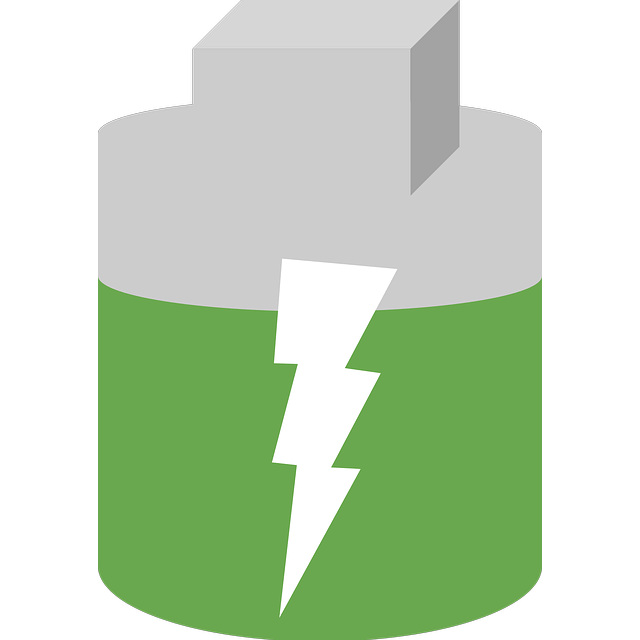 At what voltage is a NiMH battery empty? : "NiMH cells start at about 1.5 V right when fully charged, drop to about 1.2 V most of their discharge life, and are pretty much empty at 900 mV. Stopping there is usually safe. 800 mV is where you definitely want to stop to avoid damage." Brill Power improves battery system performance with intelligent control technology: their advice to me at their stand at the Innovate UK 2017 show was that parallelling up cells is reasonably safe (fuses may be a good idea) for reducing controller complexity. First published 2017-06-05 , updated 2019-04-18 , rebuilt 2019-04-19 . Site copyright © 2007-2019 Damon Hart-Davis. Hosted by ExNet.